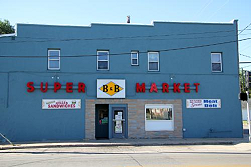 B & B Grocery, Meat & Deli, located in Des Moines, Iowa, is a neighborhood grocery store with an outstanding deli and old-fashioned meat market. 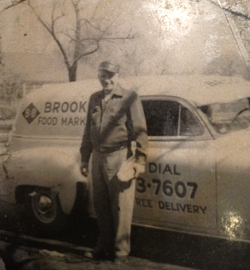 It has been family-owned and operated by the Brooks family since our grandfather Archie and his brother John opened it in 1922. B&B Grocery, Meat & Deli is widely regarded as one of Des Moines' best places to eat. 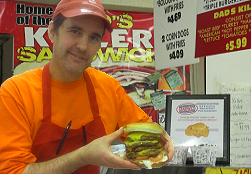 B&B Grocery, Meat & Deli has been serving the Des Moines, Iowa community quality meat since 1922. 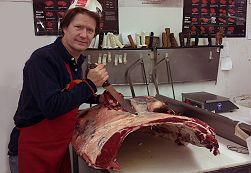 Our third generation butchers can cut-to-order your steaks or you can choose a cut from our old-fashion meat case. Plus, you can order one of our Thrifty Meat Orders.